Tommy Fury - the younger brother of former unified heavyweight champion Tyson - has joined the professional ranks after signing a promotional deal with Frank Warren. The 19-year-old will start out at light-heavyweight under the guidance of trainer Ricky Hatton after struggling to find opponents in the amateurs. 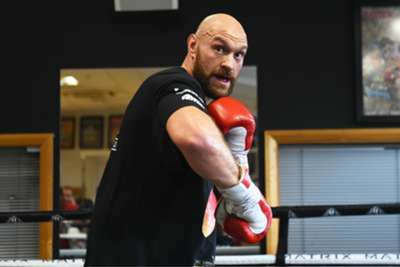 Fury's debut will be on December 22 in Manchester as part of the undercard for Josh Warrington's IBF featherweight title defence against Carl Frampton. "I want to be world champion, I think if you're turning pro that has to be what you are aiming to achieve," Fury said. "I don't want to be fighting people I can easily knock over, I want to be progressed by stepping up in level every time I step into the ring. "I want to be fighting someone who wants to fight me back and try and make things competitive." Tommy's first outing as a pro will take place three weeks after elder sibling Tyson challenges Deontay Wilder for the WBC heavyweight belt in Los Angeles.